Make a 2:1 simple syrup by combining two parts sugar to one part water in a pan. Roughly cube one inch of ginger, add to the pan, and simmer gently for 5 minutes, taking care not to boil. Remove from the heat, strain or spoon out the ginger, and allow to cool before adding fresh lime juice. Bottle with fresh chilli and leave to infuse for a couple of hours until you can taste the chilli kick. 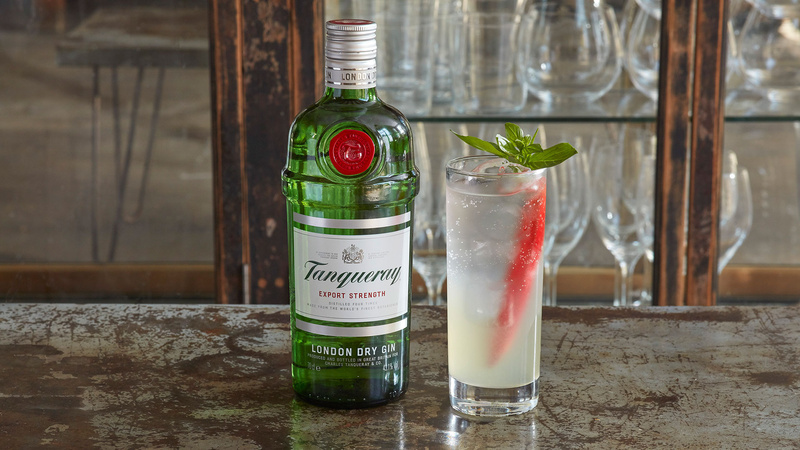 Simply add ice, Tanqueray London Dry Gin and the infused syrup to a tall glass. Top with soda, stir well, and garnish with basil.